Overwatch announces new Zenyatta figma collectible – AiPT! Overwatch fans are quickly running out of space on their shelves thanks to how frequently Blizzard is continuing to release amazing collectibles. It was less than a week ago that they announced a Genji Ultimate Sword and now there’s yet another amazing Overwatch collectible to empty your wallet on, Figma Zenyatta. Thanks to Blizzard’s partnership with toymaker Good Smile Company, Zenyatta has become the sixth hero to join the figma series. Already released from the series are heroes Tracer, Genji, Reaper, Widowmaker, and D.Va. There are a total of 14 different hand parts included, such a joined hands and a peace sign. An articulated figma stand will allow fans to facilitate various exciting poses and of course Zenyatta’s trusty Orb of Destruction, Harmony and Discord are included. And don’t worry, you can pull off a clutch Transcendence using a special effect sheet that’s included with the purchase. This figure is exceptional posable, with a slew of flexible positions and accessories to recreate your favorite Overwatch battles. The figure is made of painted ABS and PVC and is approximately 150mm in height. 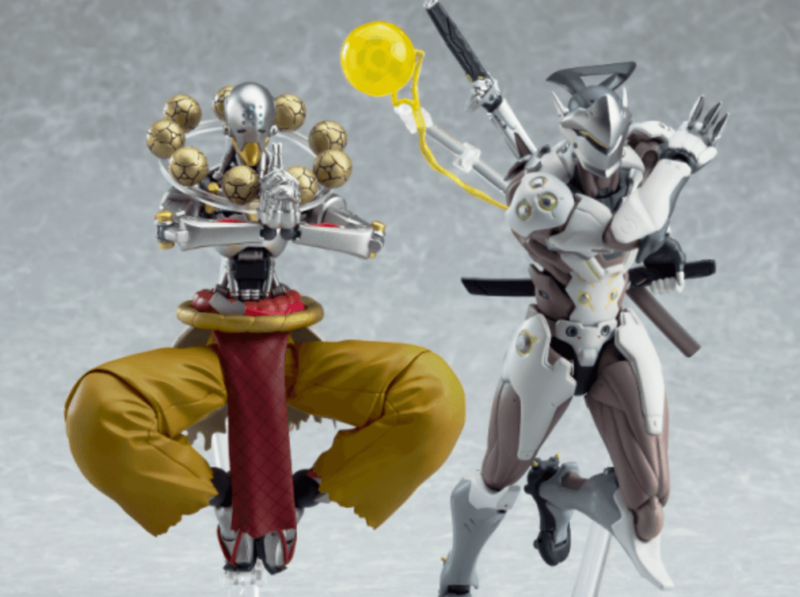 Figma Zenyatta is expected to ship by the end of Q3 2019 and comes in at a cost of $79.99. There is a limit of ten (10) per customer. You can pre-order yours now on the Blizzard Gear Store.